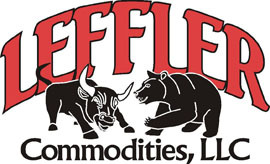 Tom and Patty Leffler are owners of Leffler Ag Consulting, LLC and Leffler Commodities, LLC (a commodity brokerage firm), both located in Augusta, Kansas. Prior to entering the commodity brokerage and Ag risk management field in 1991, Tom was a 3rd generation active member of Leffler Farms, Inc., a diversified cattle and farming operation in east-central Kansas. Rex and Mitzi Zenger founded Zenger Management, Inc. in 2000 and have been providing unbiased marketing and business advice to grain producing families. Rex is a KSU graduate with a B.S. and M.S. in agriculture. Rex has devoted over thirty years in agriculture production and providing agriculture education, farm business advice and services to farm families.